For years I have been perplexed by the people that use their mouse for absolutely everything when are a number of perfectly good keyboard shortcuts that will do the job in a fraction of the time.Why people don’t take advantage of these shortcuts is arguable however I personally believe the primary reason is that most just don’t realise there is another way, otherwise why else would you hunt around for an item on a menu bar if you can quickly hit a key and achieve the same effect? Funnily enough, now that Microsoft have hidden or moved all my commonly used menus in Windows Vista I find myself relying on these short cuts a great deal more than I used to.I’m sure that trying to convey these to you in a list format probably isn’t going to make this one of the most exciting Click articles that I’ve ever written but I do know that it’s one of the most useful. 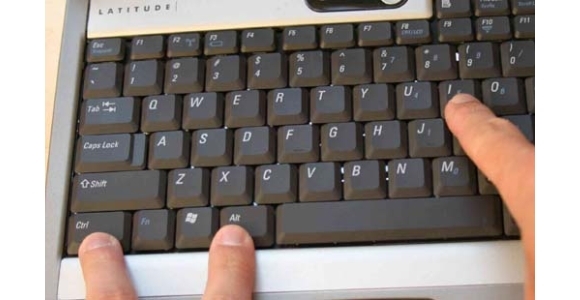 To point out the obvious, these short cuts usually require you to press two keys at once and the ALT, CTRL, Windows and Shift keys are all located down the bottom left hand side of the keyboard.I have split the shortcuts into several sections depending on where they are going to be applied and don’t worry about which version of Windows you own as most share the same shortcut keys. Navigating to menu options within programs is also easy when using keyboard shortcuts.To select the edit menu press ‘Alt+E’ together, for the file menu press ‘Alt+F’ and so on then once the menu option has been opened you can navigate around them using the cursor keys then select an option with the enter key. I did say that this wouldn’t be Shakespeare but cut out the list above, have a play around, and I promise you’ll find at least some of these key combinations useful.Once you’ve used them a couple of times it will then become second nature to hit the keyboard shortcut rather than relying solely on your mouse.